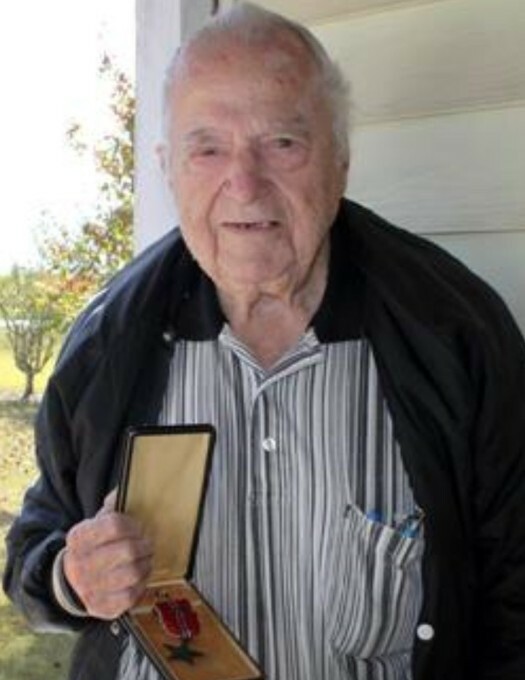 FOREST ELMORE, age 96 of Clanton, passed away on February 9, 2019 at Hatley Healthcare in Clanton. He was born in Bradenton, FL on November 6, 1922; the son of the late Weedie Elmore and the late Fanny Milby Elmore. Mr. Elmore faithfully served his country in the United States Army Air Forces during World War II. He was a Staff Sergeant in the 728th Squadron 452 Bombardment Group. He served as an airplane crew chief. He was involved in the Air Offense in Europe, Normandy, Central Europe, Northern France, Rhineland, and Ardennes. He was awarded the Silver Star for his valor in combat. He was also awarded the Bronze Star for his heroic service in a combat zone. He also loved to work on and fly airplanes, even offering a few flight classes. After his time in the service, he went on to become a sewing machine mechanic for many years with Vanity Fair. He was known for his ability to work on and repair sewing machines. People from all over the surrounding area trusted him to repair their sewing machines. He is survived by: Wife, Dean Elmore of Clanton; Brother, Willard Elmore of Princeton, IL; Sister, Darlene Hartwig of IL; and a host of nieces and nephews. Visitation will be held on Wednesday, February 13, 2018 from 10-11:00am at the Ellison Memorial Funeral Home in Clanton. A graveside funeral service with military honors will follow the visitation at 11:45am in the Alabama National Cemetery in Montevallo, AL. The family requests no flowers, please contribute to the Chilton County Humane Society or your favorite charity.